To be completely honest with you, I would have very much preferred if the main talking point of this article was team Canada's quest to defend its gold medal at the upcoming Winter Olympics. Instead, the NHL and IOC couldn't agree on several major issues, thus forcing the NHL to host an All-Star Game instead of shutting down for a two-week period and letting hockey fans marvel at a legitimate "best-on-best" tournament. This year, the NHL All-Star game will take place on Sunday Jan. 28, 2018, at Amalie Arena in Tampa Bay. This will be the NHL's 63rd edition of the showcase but just the third under the newest format, which pits the Atlantic Division against the Metropolitan and the Central against the Pacific, for the right to battle in the finals for a payout of a cool $1 million dollars. Need I remind you, this format also features three-on-three play instead of the more traditional five-aside games. In case you missed last year's edition, the Metropolitan Division emerged victorious with a 4-3 win over the Pacific team in the finale. Wayne Simmonds was named MVP after scoring the game-winning goal with just under five minutes left in game. This tournament was run a lot smoother and the play was considerably better than the inaugural three-on-three tournament two years ago. Let me introduce you to this year's NHL All-Stars. (All-Star appearance). All odds courtesy of Sports Interaction . As the years go on and players get more and more comfortable with this format, the level of play should increase and neutral fans should be treated to some wonderful hockey. If you are like everyone else reading this piece, the only thing that matters to you is turning a profit off of these three games. If you look at this matchup from a strictly talent perspective - yes, I understand both teams are extremely talented - I would give the edge to the Metro Division. 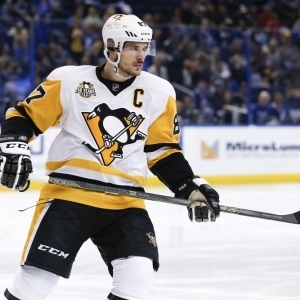 Guys like Crosby, Ovechkin, Tavares and Giroux are next-level good. I feel like the Metro has a better mix of scorers and playmakers compared to the Atlantic. The Atlantic all-stars are led by the one-two punch of Kucherov and Stamkos, both of whom reside on the leagues best team, with Kucherov currently leading the league with 61 points. On a selfish note, I'd prefer if Matthews got benched to save his energy for the Leafs playoff run. In terms of goaltending, Holtby and Lundqvist have both been through this weekend before, numerous times, while Vasilevskiy is making his first appearance and could be distracted by the entire weekend. In "pick-up games" like these, motivation is always the determining factor in trying to figure out which side has the advantage. To me, that edge sides with the Metro Division as well since they have a championship to defend. Give me the Metro Division in this game (+110) and to win the entire thing (+255). In my opinion, I don't think this game should be priced at a pick'em. When you look at the Central All-Stars, you see human highlight reel after human highlight reel. I'm already excited just thinking about what kind of dangles and passing plays we will we see from these gifted players when its 3-on-3 with all kinds of open space. I actually like the goaltending duo the Central possess as Rinne has been solid all year and Hellebuyck is backstopping Winnipeg to the third-best record in the NHL. Even the defense has the ability to put up points. For the Pacific, Connor McDavid is having a down year by his lofty standards, but I'm interested to see Gaudreau and Boeser on the same line. I don't think the Pacific is built to endure a 40-minute tournament where instant chemistry and solid goaltending is needed.